Pristine habitats have generally been considered to be the most important ecological resource for wildlife conservation, but due to forest degradation caused by human activities, mosaics of secondary forests have become increasingly prominent. We studied three forest types in a mosaic tropical forest consisting of short secondary forest (SS), tall secondary forest (TS) and freshwater swamp forest (SF). These forests differed in stand structure and floristic composition, as well as phenological productivity of fruits, flowers and young leaves. 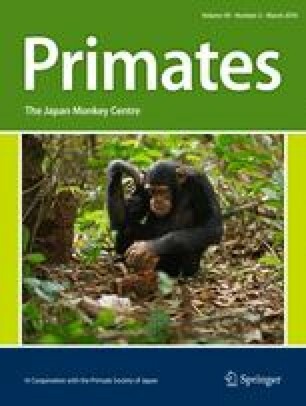 We examined habitat use of long-tailed macaques (Macaca fascicularis) in relation to indices of phenological activity. The macaques used the SS for feeding/foraging more than the TS and the SF. This was because the SS had higher productivity of fruit, which is a preferred food resource for macaques. Stem densities of young leaves in the SS and the TS also influenced habitat use, as they provided more clumped resources. Use of SF was limited, but these forests provided more species-rich resources. Our results showed that M. fascicularis responded to small-scale variability in phenological activity between forest types found in a heterogeneous mosaic forest, with young secondary regrowth forests likely providing the most important food resources. Mosaic landscapes may be important as they can buffer the effects of temporal food resource variability in any given forest type. In our increasingly human-altered landscapes, a better understanding of the role of secondary forest mosaics is crucial to the conservation and management of wildlife habitats and the animals they support. We thank all the assistants who took part in this project. We express our sincere gratitude to Chong Kwek Yen, Alex Yee, Shawn Lum, Ali Ibrahim and Gwee Aik Teck for their assistance in plant identification. We thank the National Parks Board Singapore (NParks) for their support, in particular Jeremy Woon, for coordinating the permit procedures for this project (NParks permit NP/RP10-022). We appreciated the assistance of Nobuo Imai for the NMDS analysis. We thank Colin Chapman and an anonymous reviewer for their valuable comments during the review process.